Exercise equipment mishaps account for a frequent source of client injury, as well as client claims and lawsuits. Many of these cases are filed each year against health and fitness facilities, fitness professionals and equipment manufacturers. The costs and expenses of just investigating and defending against such claims and suits can be substantial, not to mention any possible adverse judgment arising out of these lawsuits. Despite the foregoing, many of these claims and lawsuits can be avoided through the application of various risk management techniques. One of the very basic tactics used to manage the risk of such client injuries and the concomitant claims and lawsuits is to pick the right equipment, place that equipment in the proper locations, indoctrinate clients in the appropriate use of such equipment, supervise equipment use and then properly maintain said equipment. The Massachusetts’ court of appeals determined that “the question at issue is the very existence of a fitness club’s duty to instruct or warn as to a particular safety feature, a question which we conclude requires expert testimony.” Since the plaintiff presented no such testimony, the appeals court affirmed the defendants’ right to summary judgment. Injuries and the litigation which arise out of such fact patterns could perhaps be avoided if fitness professionals provide proper initial orientation and instruction to equipment users and the safety devices located on that equipment. Orientation on the equipment should include instruction on the use of each item of equipment and the applicable safety features of each such device. In addition to the foregoing, supervision of equipment use is also an effective tool to be utilized to ensure that equipment is properly used. 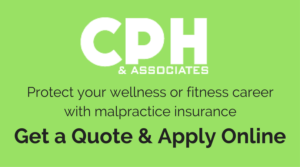 A little time and instruction in this regard can go a long way to avoid client injury not to mention later claims and suits, all of which will tax fitness professionals’ well-being and their bottom lines. The avoidance of exercise equipment injuries through the use of basic risk management techniques can save fitness professionals’ time, aggravation and money. This publication is written and published to provide accurate and authoritative information relevant to the subject matter presented. It is published with the understanding that the author and publisher are not engaged in rendering legal, medical or other professional services by reason of the authorship or publication of this work. If legal, medical or other expert assistance is required, the services of such competent professional persons should be sought. Moreover, in the field of personal fitness training, the services of such competent professionals must be obtained. Rosenberg v Kapper Too, LLC, No. 16-P-1656 (Appeals Court of Massachusetts, August 10, 2017). Balinton v 24 Hour Fitness USA, Inc., A140576 (California Court of Appeals, First District, Third Division, February 10, 2017). 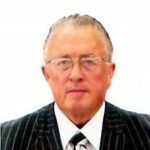 David L. Herbert, Attorney at Law, David L. Herbert & Associates, LLC, Attorneys & Counselors at Law, Canton, Ohio 44718; http://www.herblaw.com/ Editor, The Exercise, Sports and Sports Medicine Standards & Malpractice Reporter PRC Publishing, Inc., Canton, Ohio 44735; http://www.prcpublishing.com/ David L. Herbert, JD is an Ohio lawyer and Editor of The Exercise, Sports and Sports Medicine Standards & Malpractice Reporter now in current form, in its 27th year of publication. He has helped write and/or served as legal counsel for published standards and guidelines developed for the health and fitness industry by ACSM, NSCA, NSF and AFAA. David has worked in law-related fields associated with these and other matters for over 35 years and has provided services to ACSM, NSCA, ACE, AFAA, ISSA, NBFE and numerous other similar organizations. He has made presentations to various audiences for ACSM, AHA, NSCA, NATA, IHRSA, NIRSA, AACVPR, HeartWatchers International, the Cleveland Clinic, as well as many other hospitals, professional organizations and educational facilities. He is the author or co-author of 47 books and book chapters and over a 1,000 articles in the field, including a new fictional book entitled The Personal Trainer; A Tale of Pain, Gain, Greed & Lust, a legal thriller that focuses on the fitness industry’s interaction with the legal system, see, www.thepersonaltraineronline.com.